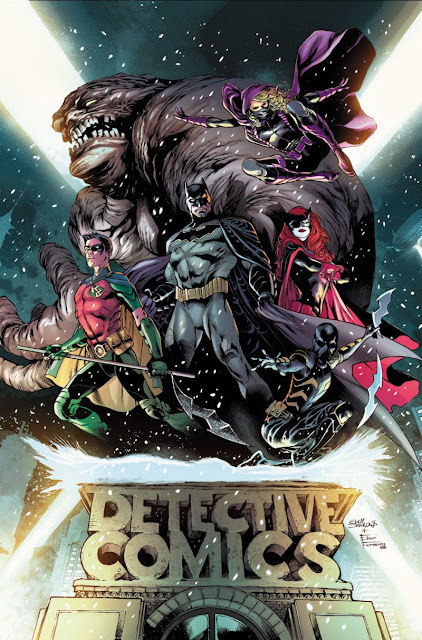 If there was one issue I was looking forward to the most this week, it's easily this new issue of Detective Comics. With a new team, both on the book and in the book, this series promised to be dynamite. The premise alone, a Gotham Vigilante Boot Camp run by Batman and Batwoman, got me excited, and I'm happy to say that this issue delivers on that premise and sets up what si shaping up to be a potentially epic story. This issue is mostly gathering the team together, but in doing so, they perfectly establish each of these characters for those unfamiliar. Getting to see Spoiler, Orphan, and Batwoman in the same book is reason enough to be excited. Combined with Tim Drake as Robin and a surprisingly touching scene with Clayface, and you have a team with a rock solid foundation. Underneath it all, Tynion teases a new threat facing the vigilantes, a force that is gunning directly for them instead of any innocent civilians. We don't get a real look at who these villains are, but the last page gives us a peek at just how big of a threat they are for our heroes. Aside from that, Eddy Barrow's art looks great. Every piece of Gotham and every costume is very well realized in this. Tynion turns in a great issue, which isn't surprising given how much work he's already done on Batman in the pages of Batman, Batman & Robin Eternal, and other such Bat-books. It's a series I plan on sticking with both for the characters and too see how the story plays out. Wonder Woman Rebirth is a strange book. 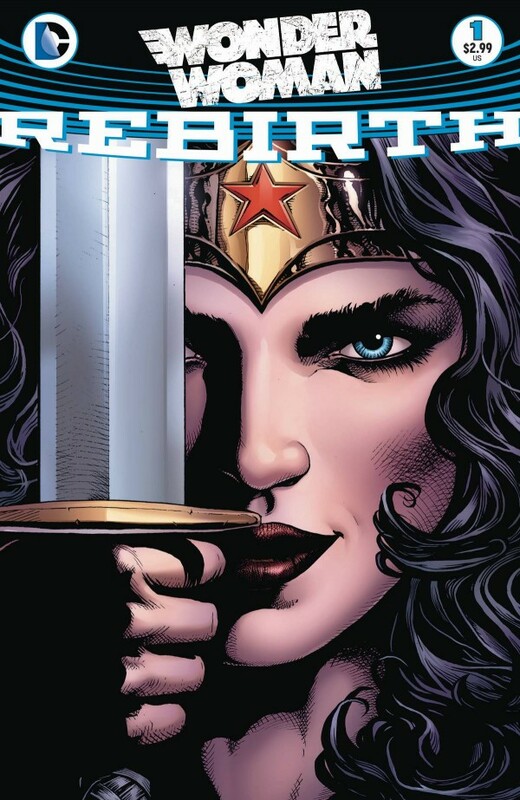 Not because it's bad, but because it's a book that tackles a lot of the conflicting stories of Wonder Woman. Unlike Batman or Superman, Wonder Woman's never really had one clear iconic backstory, and this story, along with the upcoming Wonder Woman title, seeks to fix that. Much of this issue consists of Wonder Woman wrestling with feelings that she's been lied to for the longest time, partly due to some hints given by certain characters in the recent issues of Justice League. It's a scenario that, at first, probably seems like it'd be extremely new reader unfriendly, but given that this new story is meant to clear the way for the new origin, it might actually be the best place for new Wonder Woman fans like me to start. The writing itself in this issue can definitely be a bit repetitive. A lot of Wonder Woman repeating "Who am I?" and "Or...," but it's all with a purpose at least. It's not the greatest script Greg Rucka's ever turned in, but it gets the job done, and I'm confident his story will be great once it really kicks into gear given his history with the character. For now, it's a good enough issue that will serve as a good introduction to the upcoming story, which I am still excited to read. The Man of Steel, the REAL Man of Steel, is back! Both of them. Sorta. Okay maybe there's three. Let me start over. 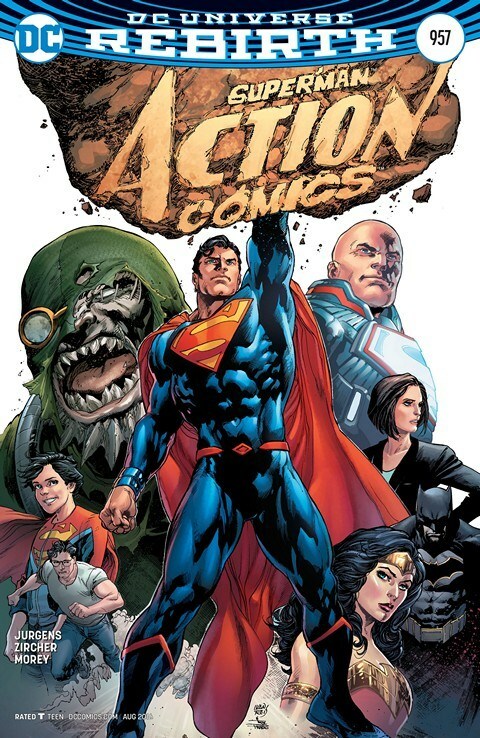 Returning to its original numbering, Action Comics, now the longest running comic in history, returns with the pre-Flashpoint Superman as the star. Unfortunately, in the absence of the New 52 Superman, Lex Luthor has taken up the symbol in the aftermath of Justice League and christened himself the new Superman. Clark clearly has something to say about that. In the midst of their struggle, someone else appears out of nowhere...Clark Kent?!? Anyway, this issue lets Dan Jurgens take the reins of the book he worked on back in the 90's, along with an appearance by a certain villain he had a hand in introducing back in the day (hint: he's on the cover). Of course, given Jurgens' time in the comics industry, his writing is a tad dated. It's nothing too bad, but a few lines here or there read as a bit goofy. Fortunately, it doesn't clash with the tone enough to really affect the book. Probably the best bit of writing in this book comes from Superman's son, Johnathan, which isn't a bad thing at all. 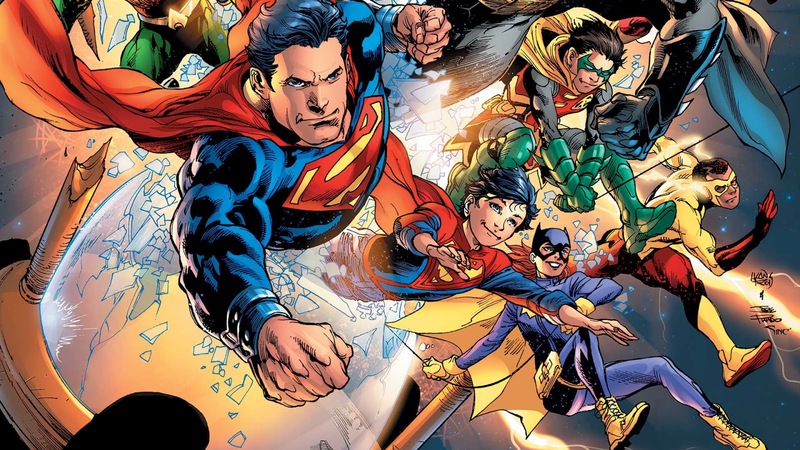 This kid's fun, and clearly has a lot to learn about being a superhero. The issue is peppered with his parents imparting lessons that Superman had to learn on his own, something I've always loved seeing from an older, more mature Superman. All in all, it's a strong debut with an ending that promises to get real heated real quickly. More than any of the other Rebirth issues, The Flash Rebirth is probably the most direct continuation of the 80-page Rebirth special, which shouldn't be surprising given how much the Flash was involved with the climax of that book. As such, *ahem* SPOILERS FOR DC UNIVERSE REBIRTH #1. What's a tad unfortunate about that is that this issue in part acts as a recap of that portion, albeit not nearly as powerful as the original book. 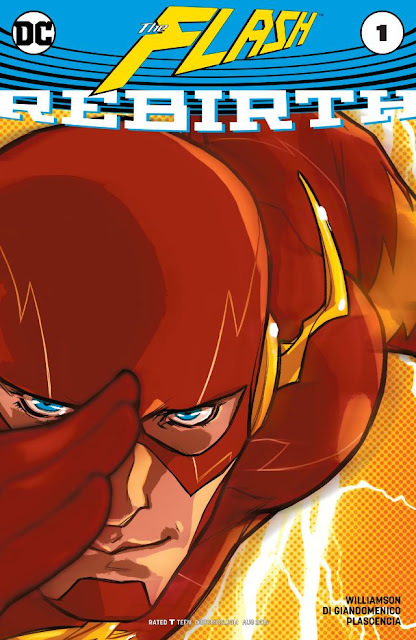 What this new Flash book DOES deliver, though, is a great look into Barry's head as he's trying to process everything that's going on, especially once we get past the return of Wally West. This issue also gives a plausible explanation to why the Watchmen button ended up in the Batcave, so that's nice too. Joshua Williamson definitely shows that he gets the way this character thinks, and it bodes well for his upcoming run, especially given he's, up until now, done mostly darker creator-owned books. 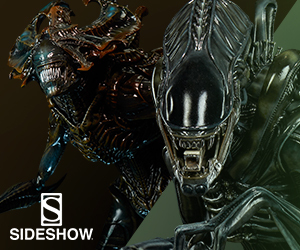 The art by Carmine Di Giandomencio is a bit hit or miss. His faces can come out a bit...odd at times, but he mostly gets the job done. The color in the issue is probably the standout, with some great use of yellows and reds, an obvious choice given the hero on the cover. It's an issue I can appreciate for tying into the larger questions at hand, even if there's a bit of backtracking involved. 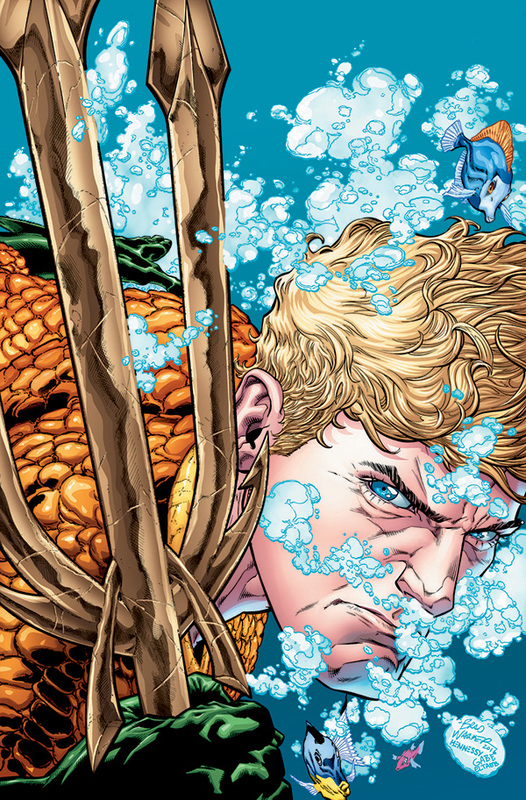 Aquaman Rebirth wants be to take Aquaman seriously as a superhero. That being said, it probably wasn't the smartest idea to have him eating at a seafood restaurant in full Aquaman attire. Yes, this happens in this issue. Aquaman Rebirth #1 is a competently written piece with some odd tone shifts that never quite grabbed me like I know it wanted. Aquaman is out to stop a sect of Atlantean terrorists from detonating bombs in American harbors that would level cities and increase hostilities between the surface and Atlantis. He launches this mission from the comfort of his new underwater control center from which he also handles diplomatic relations between the surface and Atlantis. And then after that's done, he and Mera go for chowder. It's kinda goofy. It's also pretty tonally weird, though it does lead to a nice moment between him and Mera. It's strange going from terrorists who strapped nukes onto giant sea serpents to eating clam chowder in a tacky seafood shack. 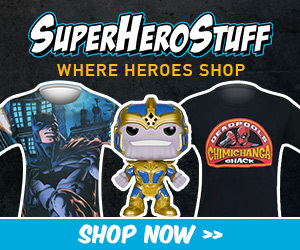 Also, why is Aquaman eating seafood anyways? Of all the Rebirth issues, this is the first one that doesn't make me excited to pick up the new book. Sorry, Aquaman. Yes. I have to do this again. SPOILERS FOR THE WICKED + THE DIVINE. Seriously, if you haven't read it, don't let me spoil it for you. You've been warned. So, why IS Laura still alive anyway? Trick question. She never died. 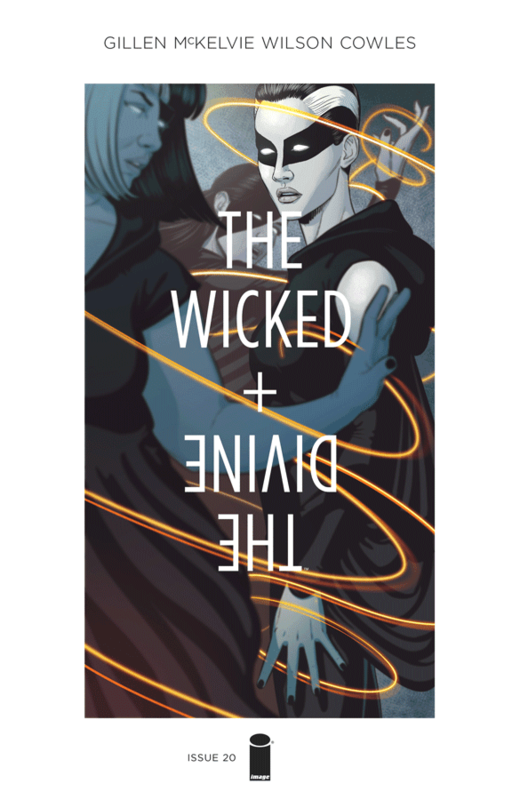 The Wicked + the Divine just loves playing with my emotions, and this issue does just that by taking back two of its most major deaths (well, sorta) and managing to make each of those believable. This issue shows how exactly Laura survived her encounter with Anake (it doesn't make Ananke look any better) and what it means for her crusade against Anake and her relationship with Baphomet. These last few issues share a similar theme, and that's build-up. Tension to some big confrontation between Laura's team and Anake's team is what's being teased by the end, something we already saw some of last issue with the "rescue" of Minerva. This upcoming fight promises to be BIG, though, and this issue gets that across. We also get a lot with Baphomet, making him out to be a bit more human than he's previously been portrayed. It makes more sense why Laura would be willing to trust him after this issue, and their chemistry works great. There's not really much else to say other than I'm really excited to see what happens next. The keyword to why Tom King's Vision works is tragedy. Like the Shakespeare that Vision's son reads, this story is about tragedy and comedy. This issue continues the downward spiral that Vision and his family have been falling down since the start of this series. This issue sees an old friend and teammate of Vision visiting his family for the winter, growing closer and closer to the family. But, as with everything in this series, not everything is as it seems. King's grasp of pacing, foreshadowing, and tension is impeccable, and is on full display in this issue. The dark humor is used perfectly, and, like the rest of the series, this issue pulls no punches. When the emotional moments hit, they hit hard. The end in particular is a moment that I didn't see coming but encapsulates the tragedy of this series. As we approach the end of this series, it stands as one of the most unexpectedly excellent series I've ever seen come out of Marvel. Here's hoping King can stick the landing. A quick descriptor of this book needs only one word: dynamite. 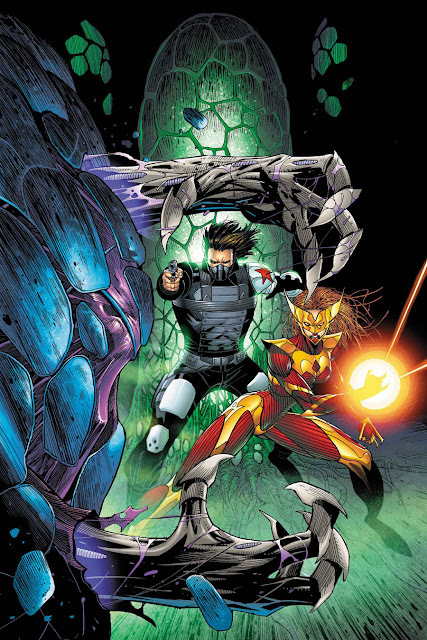 Thunderbolts is a breath of fresh air because it feels like such a balanced, as well as a straightforward, team book. Most of the team books I'm reading are either overly brooding or far too often over-complicate their own premises by splitting the group or by throwing in some X factor into the mix. Thunderbolts is a straightforward "team goes on adventures" book, and it manages to remain serious while still finding the time to have some fun. This issue picks up with the team on a mission to investigate some mysterious Inhuman Terrigen cocoons. A mission that took a turn for the worst when their newest member, the sentient Cosmic Cube named Kobik, mortally wounded her teammate, Moonstone. Now, the team has to save Moonstone, and manage to make it out alive once the cocoons start hatching and what's inside them turns out to be far more hostile than your average Inhuman. It's not an especially complicated plot, and even the zinger at the end isn't entirely surprising. That being said, what the book lacks in surprises, it more than makes up for in quality. The banter between the Thunderbolts is expertly done, and the action is great, all building to a great gag involving Atlas having to retrieve a few of the hatched creatures that end up outside of the facility. The payoff is great, and shows how great of an attitude this series has so far. Winter Soldier and Moonstone don't get nearly as much to do, despite them both being my favorite parts of last issue, but Mach-4 and Atlas pull their own weight to keep the issue from getting boring. That combined with Jon Malin's art, which I can only describe as Rob Liefeld is Rob Liefeld was good at drawing, and you have a great, kinetic book that often feels like a much older, simpler story than it actually is. This proves that issue 1 was no fluke. Now, let's see if Jim Zub can turn it into a series. A blind man playing poker. Why does this sound like the set-up to a bad joke? Well, regardless, Charles Soule actually manages to make it work. For the most part, anyways. Part of me can't help but feel like this is a very strange story to be telling for Daredevil. Daredevil's abilities to monitor people's heart beats and breaths offer some very interesting scenarios for a poker game, but it almosit feels like a situation more suitable for Tony Stark than it would for Matt Murdock. 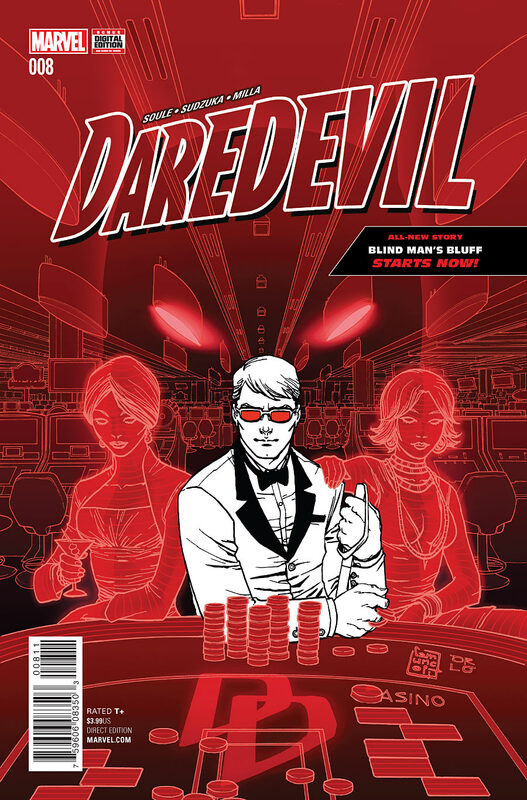 This issue sees Murdock entering a poker tournament in Macau in order to get information on...something. It's not terribly clear what Murdock is really after, but it seems serious enough given that he calls in a friend for help at the very end of the issue. The issue itself is a lot of Matt reading people and their tells. While I am someone familiar with the rules of poker, and there are a few terms thrown around, the issue doesn't bog itself down with inside baseball and make people unfamiliar with the game feel lost. It's interesting to see how these people tick, even if the situation seems odd for Daredevil to be involved in. It makes me wonder how exactly he got set up with his false identity, though the ally at the end might have something to do with it. It's an interesting, if unexpected story, and I'm at least interested in seeing it play out. And that does it for me this week. As always, let me know what you're reading. Did you pick up Thunderbolts? What do you think of the Rebirth titles? 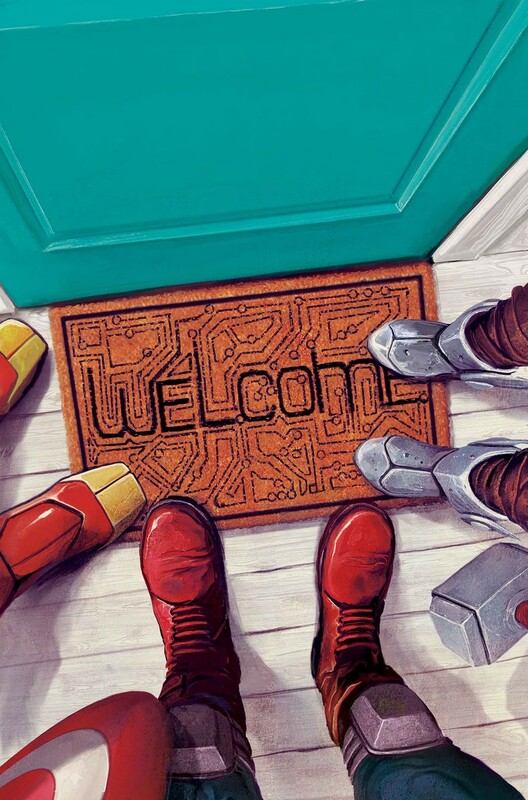 What do you think of the recent goings on at Marvel like the new Marvel NOW? Let me know in the comments below, and I'll see you next time!